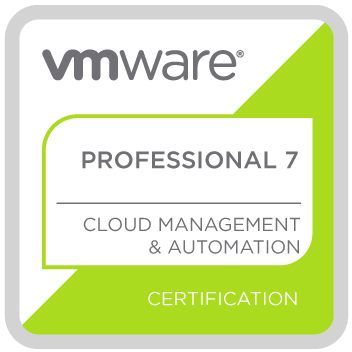 vRealize Automation 7.x is currently in a sort of ‘split brain’ where there exists two data models which can be used to interact with vRA objects. One is objects that are backed by the Cafe appliance / PostgreSQL database and the other which uses the older, entity framework (IaaS servers). This post is going to focus on the entity framework, which is still very relevant when working with this version of vRA. There are many things that still do not exist in the newer data model, such as custom properties and data collection. I still see vRO/vRA developers struggle with this, so I hope to help improve the situation. Domain objects are represented by entities and value objects that exist within a domain layer. These objects contribute to a common model and are exposed as a data service, which is also provided by the entity framework. The entity framework is a layer of abstraction that sits on top of the underlying relational database (SQL Server). This abstraction allows developers to work within a standard framework. Yes, you could run SQL queries on the underlying database directly, but this gets really ugly and isn’t supported. LINQ is Microsoft’s .NET Language-Integrated Query (language). What is also important to note is that entities follow some form of continuity and identity (i.e. they must all have certain attributes, such as an ID field or callable methods). This standard allows for a consistent interaction with the domain objects. In the case of vRA, all domain-level objects (entities) are provided under the ‘ManagementModelEntities.svc‘ data service model. Within this data service model, entities are organised into their own ‘tables’, known as ‘Entity Sets’, and entities can also link to (relate to) other entities. Getting an understanding of the entities will make your life as a vRA/vRO developer so much easier. Although it is possible to perform GET requests against this URL and browse the entities and entity sets, a much more elegant solution is to use an application called LINQPad. 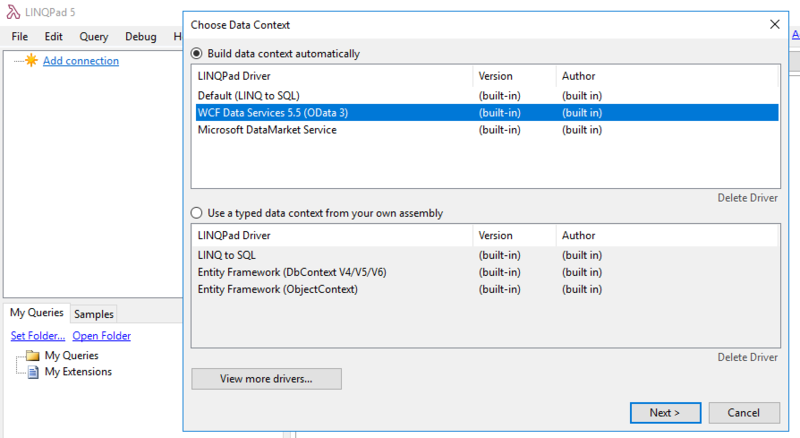 LINQPad is a tool that can connect to a .NET data source and execute LINQ queries. This tool is extremely useful to view and discover the vRA entities that exist under the ‘ManagementModelEntities.svc‘ data service (or any data service). You will often have a requirement to understand which entities exist and their associated properties. Many entities also relate (link) to each other, so understanding this can be very powerful. Download LINQPad from the following URL. It doesn’t matter if you use version 4.x or 5.x as both will do the job, so just get the one that supports the version of .NET you have installed. 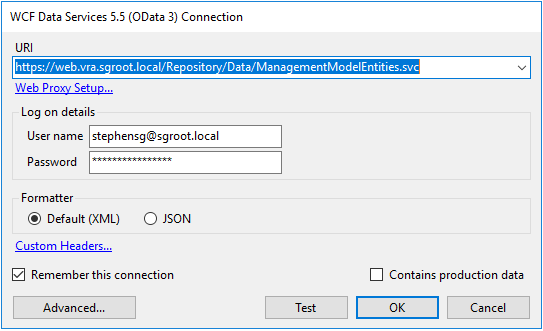 Once you have LINQPad installed, launch it and add a new connection, selecting ‘WCF Data Services 5.5 (OData 3)‘ as the data context. 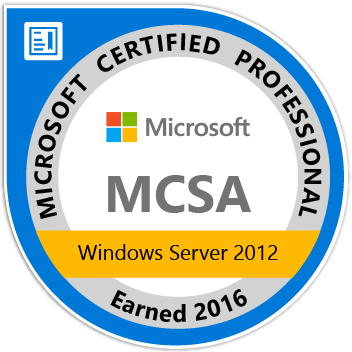 The next step is to provide the URI of the IaaS Web Server (the IIS server) and an IaaS admin account (I’ll be using my own account that has IaaS admin access). Check ‘Remember this connection‘ so that the connection details are saved for future use. You may also want to click on the ‘Advanced‘ button to ‘Accept invalid certificates‘ if self-signed certificates are being used. After you click ‘OK‘, a connection will be established and the entity sets will be presented (that look like tables). You’re likely not going to care much for most of these. Many of the entity sets have become redundant as they have been migrated to the Cafe appliance. Here is a list of the most common objects/entities that you will probably be working with along with their corresponding entity set name (additional sets will also be used when linking entities but I won’t cover them here). Custom Properties – Each custom property is stored as an individual entity in the VirtualMachineProperties entity set. 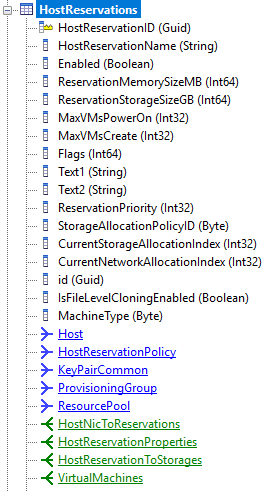 If you had a virtual machine, with 30 custom properties, then there would be 30 entities created in this set. If you had another virtual machine with 30 custom properties, then 60 custom property entities would now exist. Although you will see a lot of duplicated custom properties, they are unique entities and maintain a relationship with their respective virtual machine. Data Collection – These entities do not have a relationship with the compute resources. Instead, the data collection entity Id’s are the same as the compute resource entity Id’s that they manage. So let’s explore these a bit more. We’re going to dig into the Reservation entities and see how these are presented. The first thing to do is locate the ‘HostReservations‘ entity set in the list. Click on the little + icon and it will display all the properties available for each reservation. If you have ever created or worked with reservations in vRA, then you will be familiar with properties like, ‘ReservationMemorySizeMB‘ or ‘ReservationPriority‘. The blue and green properties are entity links. These are incoming or outgoing links to other entities from this entity. For example, the blue link ‘Host‘ is an outgoing link to a single compute resource cluster or host, whereas the green link ‘VirtualMachines’ has an incoming link from one or more virtual machines. The cardinality between the entities is also displayed, i.e. a reservation has a many to one relationship with Host. I will cover this in much more detail in future posts that discuss working with entities, properties and links at a much deeper level. Next, let’s take a look at some existing reservations. Right click the ‘HostReservations‘ entity set and select ‘HostReservations.Take (100)‘. The results pane is going to display the first 100 reservation entities that have been found. Each entity will be displayed per row with a column representing the properties for this entity. You can see that I only have one reservation that is called ‘RES-SG-BG_Delivery-vSphere-01’, and has been configured for 4096MB of memory and 100GB of storage. The links, however, will all be displayed as either null or (0 items). These can be expanded using the ‘Expand‘ method for the LINQ query (Include would have been an even better option but the method is not supported for our use). Expand takes a comma separated string of link names that should be expanded. Modify the query as follows to display the Host and Reservation Policy. This will now return the reservation entities and this time the links for ‘Host‘ and ‘HostReservationPolicy‘ will be populated. Continue to explore and get familiar with the entities and their properties. In my next post I will cover how to work with the entities in vRO and will include some actions that I have created that allow me to easily interface with the entity manager.